Men’s Islanders Westshore Men’s 3RDS @ Windsor, Saturday, 10:30 a.m.
Women’s Prems Vs Westshore at Juan de Fuca, Saturday, 12:00 noon. CW’s Julia Folk Hits the Big Time (Again). The club would like to give a shout out to Julia Folk this week. The Tricolours (formerly, Saskatchewan Rogues) and Canada back, will be joining Amanda Thornborough and Andrea Burke on a Barbarian selection to play the U.S. Women Eagles at the end of next month in California. 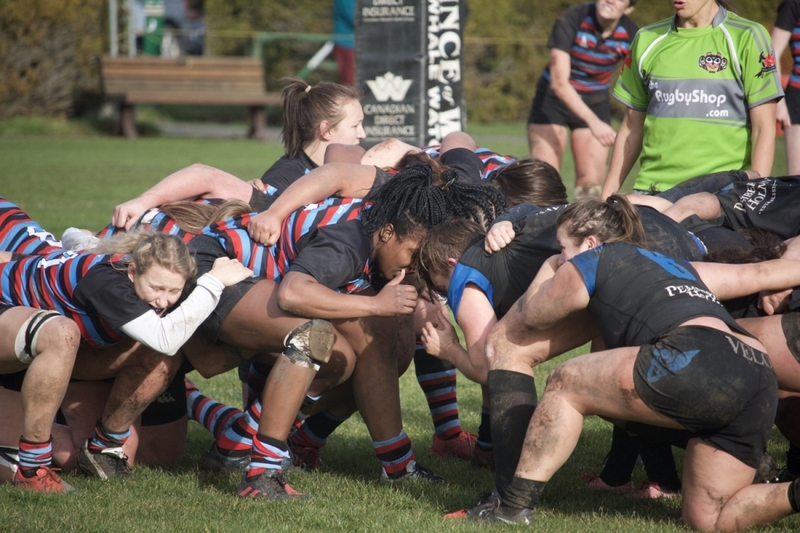 The three Canadian Internationals will be playing alongside ladies from Scotland, Australia, New Zealand, Wales, Netherlands, England, USA and Ireland, in a customary Barbarian selection of capped, uncapped and Home country players. It is a rare honour due to the fact that such an assembly rarely occurs. Thornborough repeats her inaugural selection in 2017 with Kelly Russell. Julia will be on the park tomorrow when our Women take the challenge to Juan de Fuca. We wish Julia well and know she will do us proud. Spencer Hoffman, Zach Moncton, Henry Down, Jack Carson, Owen Smith, Leo Mah, Liam Cantwell, Nic Bamford and Cole. 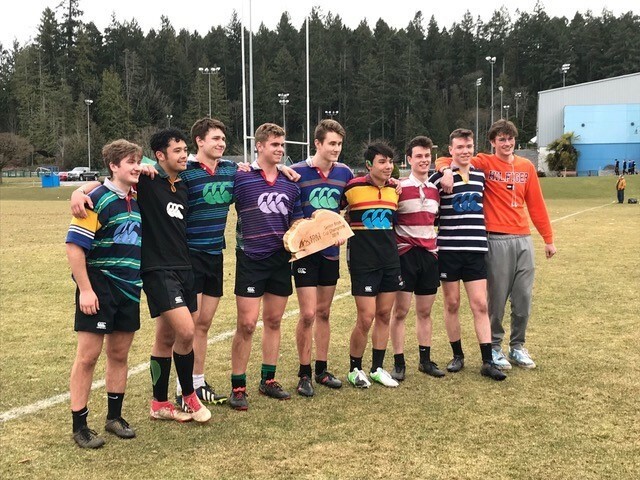 All of the lads except for Liam and Cole played CW Age Grade this past winter. With the High School season getting ready to kick off, we can expect to see much more of our CW boys and girls playing for their High School teams. 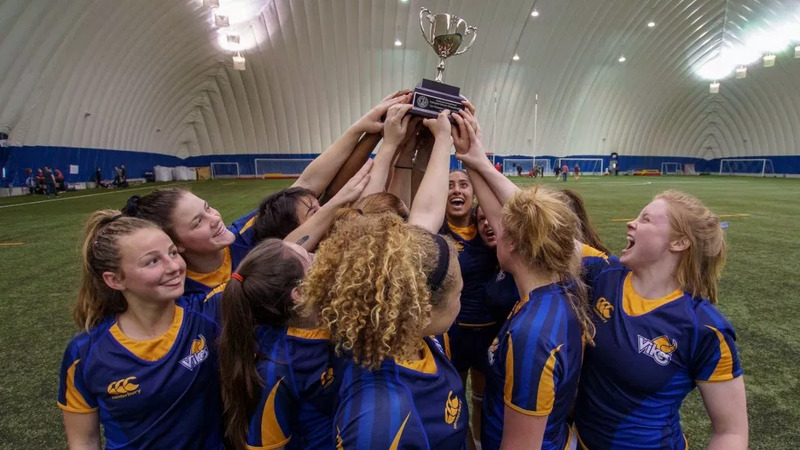 CW congratulates UVIC – National Women’s VII’s Champs and their coaches Britt Waters and Mandy Marchak.